If you want to know how to recover from cancer using alternative cancer treatments read Christine’s inspiring story. Christine S. has allowed An Oasis of Healing to share her health restoration story with you and we are happy to do so. Learning how to recover from cancer using integrative oncology needs to be shared far and wide. Christine came to us all the way from Abu Dhabi where she has resided for the past 33 years. She was diagnosed with colorectal cancer in 2013. They told her back then that it was localized and had her go through chemotherapy, radiation, and surgery. 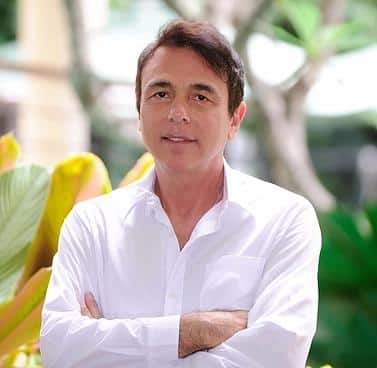 Christine went through a very traumatic experience with these conventional treatments not knowing at this time that there were any other treatment options available to her. When she finished her treatments, she was told by her doctors that her colorectal cancer was gone, offered her congratulations and sent her home. In just under 12 months from being told her cancer was gone, Christine did a CT scan to check for reoccurrence and sure enough, there was cancer in three places in her lungs. It was quite a shock to her that cancer had returned and so quickly. Christine had it in her mind that if cancer ever did return that she shouldn’t do the treatments she had done the first time because it didn’t make any sense to her whatsoever. The chemotherapy treatments she received were the most concerning to her, she couldn’t understand why a sick person would be given poisonous treatments. Christine was now dealing with a Stage 4 lung cancer diagnosis and was searching for treatment options. She was told by her conventional team of doctors that she would not survive 9 months if she didn’t do what they told her to do. She chose to go to Switzerland for 2 years and did no conventional treatments for the lung cancer. During her stay in Switzerland, she kept researching alternative treatment centers and found Dr. Lodi’s videos online. After watching many of An Oasis of Healings videos, she knew that this was the healing center for her. In Christine’s own words, her experience at An Oasis of Healing was “even better than she expected it to be”. She always felt that the staff always listened to her as she has her own approach. She stated, “An Oasis of Healing has been very accommodating and lovely”. Christine is really happy that she chose to come to our healing center and she would recommend to anyone dealing with cancer to visit An Oasis of Healing. She further states that for people that do choose to come, that they come with the mindset of taking control of your own health. Conventional treatments present a very passive role for the patients going through them. They basically give up their body to these very harsh treatments and suffer great consequences as a result. At An Oasis of Healing, you are in control of your health and you take a very active role in your treatments. Christine says people have to realize that just because other places have said that your cancer is incurable, doesn’t mean that is the case, it just means that they can’t help you! 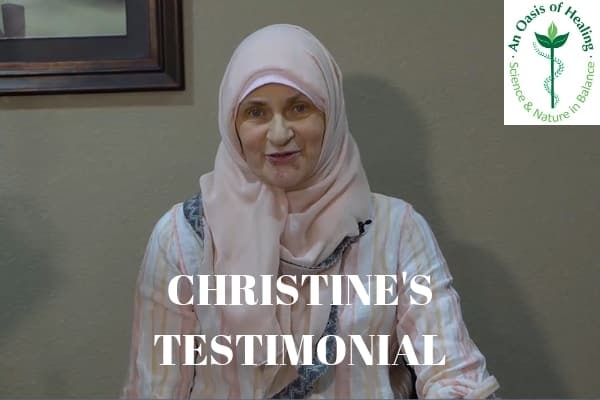 Christine was able to meet many other people at An Oasis of Healing that have also been through very harsh treatments prior to arriving here, and their success stories were very inspiring to her. She said she feels like she gets the best of everything at An Oasis of Healing. She said that Dr. Goodyear on the medical doctor side of things was so unlike any doctor she had ever seen before. In her words, Dr. Goodyear was “so kind, so humble and so compassionate and so knowledgeable”. And then you have Dr. Mel who is on the Naturopathic side of things and she is equally as amazing. So, you have two amazing doctors combined together to give you the best of both worlds. Christine went on to say that the nurses and the entire staff have been so supportive. She would look forward to her morning therapies and treatments as the nurses were always smiling, laughing and joking. In her words, “they always managed to make me feel loved and very welcome”. She further said that “she has never been in a place where every single person was so special, and it really is the case here”. Christine has some inspiring words for people who may be dealing with cancer at the end of her testimonial video, so we encourage everyone to watch her video above.